If you're not using social media as part of your company's marketing efforts, then you're not marketing as effectively as you could be. And this could be frittering away your marketing budget. In this digital age, social media platforms such as Twitter, Facebook, and Google+ provide a way for you to boost brand awareness, reach out to a critical mass of customers and potential clients, and increase site traffic on your e-commerce site. But you first need a good plan to use social media as a marketing tool -- and that includes understanding how to measure ROI. Read on to learn about how your marketing team can measure social media ROI. It’ll take some work, but knowing how to measure success will benefit your company both now and in the future. In order to determine whether or not your marketing department is using social media effectively and giving your company a competitive advantage, you need to know your numbers. And the only way you can know which numbers actually matter is to figure out which metrics are relevant to you. After you’ve done that, you’ll be in a position to figure out your ROI. 1. Online Conversion Objectives: First things first, you must figure out your online conversion objectives, and this is accomplished by determining what you believe the best-case scenario would be for people who visit your site. It goes without saying that if you're selling baseball gear, for instance, your key conversion objective would be for visitors to your online e-commerce site to proceed all the way through the buying process. It's important that you select the right conversion goals for your website -- otherwise you won't really know what the ROI is or should be. 2. Keep Tabs on Conversions: After you've figured out what your conversion goals are, you then need to find a way to reliably monitor conversions as they come in. Fortunately, you'll be able to use online analytics solutions that will do this for your automatically. Ensure that you particularly monitor captured data that relates to what you specifically want to track. 3. Conversion Valuations: After you've figured out what to track and how to monitor conversions, you need to determine how much each conversion is worth. 4. Know the Costs: Once you've done all of the aforementioned, you need to figure out all of your costs. There are tools available that will simplify the process for you such that all you'll have to do is input the relevant data. So you need to figure out all of your conversion goals. It's important that you and your marketing department determine the rationale for having a website so that you can come up with the right conversion goals, which is the first consideration when trying to figure out ROI. 2. Keep Tabs on Conversions: Effective tracking isn't a one-and-done affair. In fact, you need to track your website visitors during their entire session on your site. That way, you'll be able to figure out if there's something about your site that tends to discourage or encourage visitors. You need to know what their motivations are for visiting your site, and then you need to figure out whether or not you can provide what they need. It should be noted that it measuring success isn’t quite as simple as comparing conversion rates, say, over the last year with conversion rates at present. The reason this won't necessarily be a reliable strategy is that is that this sort of linear analysis ignores the fact that traffic quality changes constantly, so any comparison will be flawed. 3. Conversion Valuations: Figuring out a monetary value for each conversion is actually more difficult than it sounds. You really cannot calculate an accurate ROI unless you can quantify the various conversion types to place a valuation on customers downloading a free ebook on your site or signing up for your free e-newsletter. So after you've figured out the various conversion objectives, work out a monetary value for each one. 4. Know the Costs: You can’t figure out a reliable ROI if you don't know all of the costs or expenses. While you can get various software programs to help you keep track of costs, you need to input all of the right data in order for these solutions to help you. This might mean doing an extensive internal review to figure out all costs that need to be accounted for. 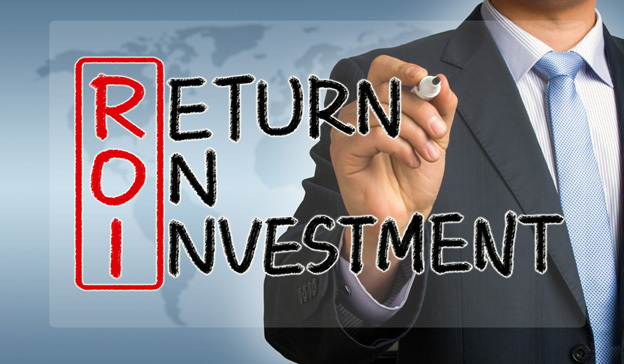 Only then will you be able to arrive at a reliable ROI figure. Now that you know what to consider when it comes time to figure out an ROI for your next social media marketing campaign, you have the tools for an efficient effort. The task is a large one, so it will require input and participation from management and various departments. Once everyone understands the importance of both the social media marketing effort and of the need to figure out an ROI, you'll be ideally positioned to make the most out of your marketing dollars. Yes, your marketing team can measure social media ROI. While the skills acquired at a good business school might help you to take the proverbial bull by the horns, you can figure things out by simply adopting a process -- and sticking to it. Consider the abovementioned steps, and you’ll be able to gauge how your social media campaigns are doing.